A Senior Community in Clinton, Utah offering a full continuum of care and an all-inclusive campus with ground level patio apartments for Independent Living, private Assisted Living units, and a safe & secure memory care wing. Country Pines is one of very few senior communities in Utah that offers a full continuum of care. We are an all-inclusive campus that offers 50 ground level patio apartments for our Independent residents, 50 private Assisted Living units, as well as a safe and secure private memory care wing for our residents who suffer from Alzheimer's or Dementia related illnesses. Regionally acclaimed master-chef Randy Thorstead, founder of the famed "Lion House" restaurant of Ogden developed our amazing dietary program. We are proud to serve professionally prepared and garnished meals daily. They are always from scratch, delicious, and healthy. At Country Pines we are well known for our incredible meals. Our highly capable nursing staff will provide outstanding, compassionate, and highly professional, personalized care depending on your loved one's needs. Dr. Ericksen's clinic, Westside Medical, is just down the road and they always go above and beyond to serve our residents from Country Pines. Our activity director always ensures that we have a full calendar of engaging activities, great entertainment, exercise programs, and outings to keep our residents happy and healthy. We will be going to Cold Spring Trout Farm. Join us for Music, Dancing, Refreshments, and Tons of Fun! Do you ever feel that you are unable leave mom or dad so you can have a date night? Are you worried about their safety while you are gone? Let mom or dad stay at Country Pines Memory Care, we can help! *please allow, at the least, a week notice as we need the time to make arrangements.  Our experienced staff is always available to help with any range of assistance need. Ranging from simply picking up groceries all the way to managing incontinence or Alzheimer's. Our friendly and attentive housekeeping staff provide a personal touch to their regular services which include folding and delivery of peronal laundry. Country Pines arranges for weekly, on-site religious services on Sunday as well as mid-week bible study and relief society meetings. Country Pines' newly-built memory care community is designed to help the needs of residents with memory impairment. Click the image above to see a roll of photos featuring our spacious and comfortable assisted living accommodations. ...for guests needing assistance with Activities of Daily Living but wishing to live as independently as possible for as long as possible. Beautiful pet friendly campus with well lit wide walkways. Fun mix of residents who are very friendly and welcome newcomers. Gifted, compassionate, and professional care givers. Click the image above to see a roll of photos featuring our spacious and comfortable independent patio apartments. Spacious one and two bedroom units with ample living area and a full kitchen. Amazing, delicious, fresh healthy meals. Try for yourself! Come and meet the greatest group of beautiful, classy, intelligent, witty women around. Weekly on site visits by M.D. and Physical Therapist. What really makes Country Pines the best is our helpful, outgoing team of caretakers. Our highly qualified staff loves helping our guests with their needs. Be part of our fun, energetic, positive community. On site beautician who knows how to pamper and please. You'll love our fun, energetic & upbeat staff. Country Pines has built an outstanding reputation for service and care in the medical community over the past 20 years. With many newcomers into this complex industry of senior care, when you choose Country Pines you can be confident you are choosing a company with experience and outstanding track record for providing the highest quality service and care. 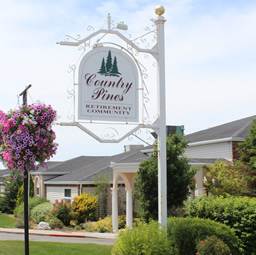 While all Assisted Living Communities offer similar basic amenities, Country Pines is set apart by our amazing group of highly dedicated professionals who have made it their life's mission to care for and serve our highly deserving elderly patients. For over 20 years a large professional network of hospitals, doctors, physical therapists, social workers, and discharge planners have trusted Country Pines to care for their patients. A person may simply require an independent apartment with services such as meals, transportation, and on-site staffing. Or one may need varying degrees of assisted living provided by their own nurse. Even if your loved one requires specialized care for dementia or alzheimer's care, Country Pines is your answer. Country Pines is the vision of renowned physician, author, and speaker, Dr. Corey Ericksen. Dr. Ericksen's field of study became personal when his own parents began to show signs of aging related depression. Understanding that medication is only part of the solution, Dr. Ericksen created a stimulating community for his parents that allowed them to maintain their indepenence. Country Pines provides socialization, engaging activities, outings, and high quality nutrition served in a dining room setting. The Country Pines community is exactly what Dr. Ericksen envisioned for his ageing parents. Dr. Ericksen wanted his parents to have all of these services and amenities while maintaining their privacy and independence. Since nothing like Country Pines existed when Dr. Ericksen's parents needed it, he made it his mission to create this very special place. Dr. Ericksen is one of the foremost experts in the United States on chemical depression. Dr. Ericksen is the author of "Depression is Curable" which has helped thousands of people who were suffering from a chemical imbalance. Dr. Ericksen practices medicine at his clinic "Westside Medical" within walking distance of Country Pines. Since depression is so prevalent among our elderly, Dr. Ericksen's speciality has made him uniquely suited to create the ideal senior living community. Many of our residents at Country Pines are also his patients. A place that would provide stimulating activities, religious services, and regular outings. A service oriented staff that would serve his mother fresh and healthly meals daily. And most important, an environment where his parents could be around others of their own generation with whom they could create meaninful relationships and have a high level of socialization. Dr. Ericksen wanted his parents to have all of these services and amenities while maintaining their privacy and independence in a spacious walkout apartment with a full kitchen and a senior friendly bathroom. Since a location did not exist to meet Dr. Ericksen's needs, he made it his mission to create this very special place. Often times depression begins to set in with seniors due to their environment. A sedentary lifestyle void of social interaction, poor diet, a feeling of being not needed, and loneliness can cause depression. Dr. Ericksen designed Country Pines to help lift individuals out of depressing settings and lifestyles and help them to enjoy life once again. Country Pines offers a simple all inclusive pricing schedule that is among the most competitive in Utah. You will know exactly what to expect each month based on your loved one's care needs. Click the desired buttons below for a schedule of our rates. Three delicious, fresh, dietician approved meals daily. 24-hour on call security and safety checks. Weekly housekeeping and linen service. Individual and group activities. All utilities including cable television. Includes medication management as well as general assistance with activites of daily living (ADL) such as bathing, dressing and grooming. All level 1 services as well as management with incontinence and greater assistance with activities of daily living. Our beautiful patio-style apartments come equipped with a full kitchen, laundry room, and ADA accessible bathroom with a european walk-in shower. Monthly rent includes delicious restaurant quality meals in our dining room 7 days a week. 24 hour security and on-site nurse. All utilities, lawn care maintenance, activities, outings, exercise programs and entertainment are all inclusive in the monthly rent. Our highest level of care takes place in our beautiful brand-new secured memory wing. We offer the highest level of compassionate care for those patients suffering from dementia, full incontinence, or alzheimer's. Our new memory wing boasts a private serenity courtyard with relaxing water feature, delicious restaurant quality meals, full life enrichment programs and experienced speciality staff. Your mom needs a date...on us! Bring your mother (or father) to Country Pines and we'll provide lunch and entertainment. Experience for yourself our warm atmostphere, amazing food, and exceptional staff. Please fill out the form below to recieve your gift voucher for a complimentary lunch date with mom (or dad) at Country Pines.